Straight off the streets of Tokyo-to, the latest statue in First 4 Figures' Sega All-Stars line cannot be Beat, and yet it is. There were two characters I was really hoping would make an appearance in First 4 Figures' Sega All-Stars line. The first was Vyse from Skies of Arcadia, and the second was Beat from Jet Set Radio. I can still smell that new Dreamcast smell and feel the wind in my hair, which actually existed 13 years ago. Looks just like he did in Jet Set Radio, doesn't he? Not quite completely cel-shaded, but the inspiriation's certainly there, and damn if those skates aren't the coolest thing I've ever considered shattering my ankles in. Fourteen inches tall from headset to street, Beat is limited to 1,250 pieces at $229.99 a pop. 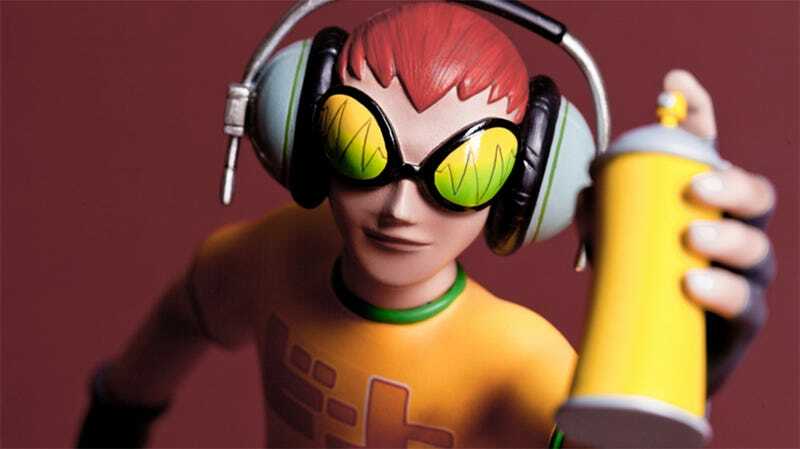 He ships in the second quarter of 2015, which leaves plenty of time to preorder before the rest of the Jet Set Radio fans with money show up.